Get up to 7 free auto shipping quotes from the largest, most trusted Connecticut auto transport companies and save up to 50% on your car shipping rates at CarMoves.com. Car shipping companies in Connecticut compete for your business, which is how you can save hundreds, if not thousands of dollars on car transport services by shopping with us. Whether you're shipping a car to Connecticut, across the country, or even overseas, we can help you get the best price on your shipment - guaranteed! Read more about the following car transport companies in Connecticut before getting a quote. Click on the name of the company to read a full review. 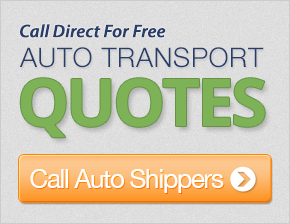 Get a free auto shipping quote today to find out how much it costs to ship a car to or from Connecticut! Connecticut is a small New England state known for its highly affluent and educated population. Located south of Massachusetts and east of New York, a large part of southwestern Connecticut is considered to be a part of the New York City metropolitan area. As such, the state is quite densely populated, ranking fourth in the entire country for population density despite having a somewhat average overall population. Interestingly enough, despite the state's proximity to a stretch of coastal water, Connecticut does not have direct access to the open ocean. New York state's border extends outward over most of Long Island Sound and Block Island Sound, effectively boxing in Connecticut's ocean access. Nevertheless, Connecticut is also primarily known for its historic harbors and fishing communities. Perhaps the most well known geographical characteristic of the state is the presence of the Connecticut River, after which the state is so named. As the lengthiest and largest river in all of New England, the Connecticut River cuts a large swathe through the state, flowing mostly in a north-south direction. Cities located along the river include Portland, Middletown, and the state's capital, Hartford. The state of Connecticut has definitely earned a reputation for its highly educated populace. Thanks to the state's many revered colleges, including Yale University, Trinity College, the University of Hartford, Wesleyan University, and the University of Connecticut, the quality of Connecticut's higher education cannot be overstated. As a result, the state's residents enjoy the highest per capita income in the United States and a correspondingly high Human Development Index. However, these high and lofty statistics are frequently the result of the very wealthy and elite suburbs surrounding many of Connecticut's most populous cities. Many inner city areas, including those of the three largest cities of New Haven, Bridgeport, and Hartford, are scarred by pockets of what some might call "blighted" areas. These areas have some of the highest crime rates of any in the United States, as well as significant poverty levels. The distinction between the haves and the have-nots in Connecticut is, quite possibly, more elevated that anywhere else in the country. Still, Connecticut is, overall, a state with a very strong economy. Perhaps some of the reason for its wealth economic state is thanks to its current status as a tax haven for investors. Since all investments made in Connecticut are taxed at a rate of 4%, a number corresponding to the state's income tax and much lower, relatively, than bordering states, hedge fund investors and banking institutions have established large footholds in the state. Other areas of strong economic activity in the state include fishing and farming of various seafood, dairy farming, industrial manufacturing of heavy machinery and transportation vehicles, as well as education - Yale being one of the largest employers in the state. 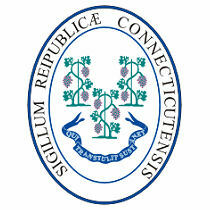 Overall, Connecticut, nicknamed the "Constitution State," is a very significant New England state economically, in terms of education, and culturally. CarMoves.com works with car shipping companies throughout the state of Connecticut. We can help you get the best prices on car transport services to the following cities in Connecticut: Bridgeport, New Haven, Hartford, Stamford, Waterbury, Norwalk, Danbury, New Britain, West Hartford, Meriden, Bristol, West Haven, and many more. If you don't see your city listed, don't worry - we can get your vehicle shipped anywhere in Connecticut. Scroll to the quote section on this page to compare free auto shipping quotes from up to 7 Connecticut auto transport companies and save up to 50% on your move! View the Connecticut Department of Transportation website for more information.